On Monday, 19 January, CERN physicists welcomed musician Tim Blake - progressive rock keyboard and theremin player - and architectural lighting designer Patrice Warrener - inventor of the Chromolithe Polychromatic Illumination system, used in Lyon’s “Fête des Lumières”. Together, they make up the musical duo "Crystal Machine". 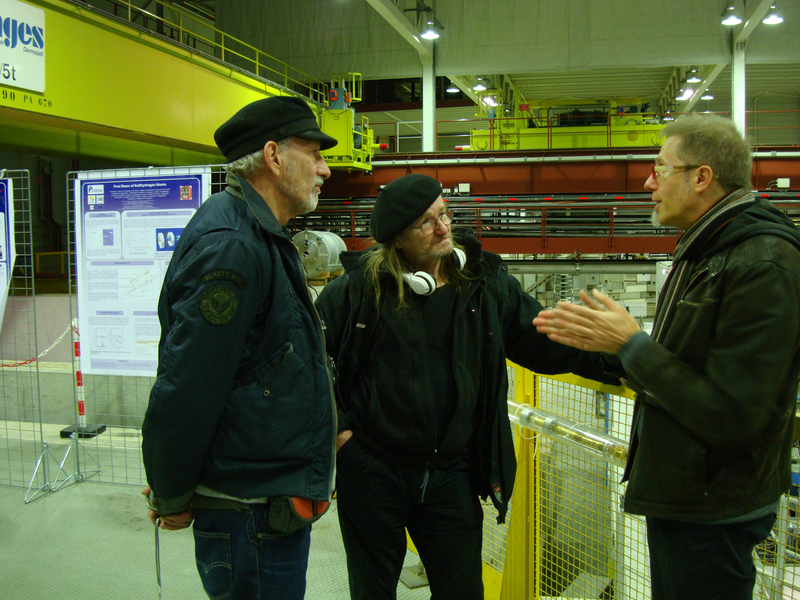 Their visit began with an introduction to CERN by their friend Django Manglunki, project leader for the ion injector chain, and an improvised discussion on the LHC extraction system with Roger Barlow, kicker magnet controls expert and progressive rock fan. This was followed by a quick trip to the CCC, the server room and the SPS RF amplifiers in BA3. Next on the itinerary was a tour of the AD and anti-hydrogen experiments led by Michael Doser, AEgIS Spokesperson. A leisurely lunch followed, in the company of Roberto Saban, Head of the Engineering Department, Michael Doser and Michael Hoch, research physicist and founder of the art@CMS project. The daylong visit concluded with trips to the Computer Centre, SM18 and a tour of the CMS experiment.